Engaged in manufacture and supply of an excellent range of Power Supply Trainer Kit. Our entire range is manufactured using quality raw material. Since the establishment of our company, we have been able to offer our patrons with best in class DC Power Supply. Its low power consumption, compact & portal design, low noise and high electrical stability, make this DC power supply highly demanded. 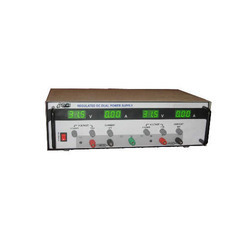 For ensuring high standards of quality, the offered DC power supply undergo various quality assurance procedures. Very Low ripple and Noise. High Stability and excellent line and load regulation. CV and Cc mode of operation. Digit DPM for V and A (Variable Power Supplies Only). Overloaded and Short Circuit Protection built in. Series, Parallel Tracking or Independent output in Multi Output Power Supplies. Owing to our rich experience of this domain, we have been able to manufacture and supply the quality of Decade Resistance Box DRB. 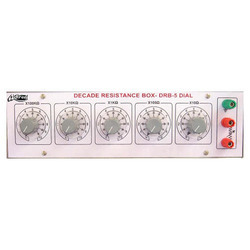 Owing to its electrical stability and compact design, the offered decade resistance box DRB is highly demanded. Our large decade resistance box production has helped us in meeting the bulk demands in the most efficient manner. 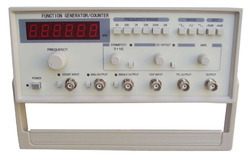 With the aid of latest machinery and cutting-edge technology, we have been able to manufacture the best quality of Function and Signal Generator. Due to low distortion sine wave and digital readout, the offered function and signal generator is never compromised. 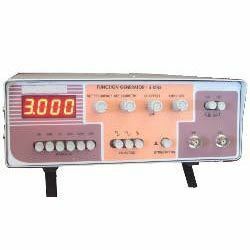 Being a quality oriented name, the optimum quality of function and signal generator is never compromised. Sine, Square, Triangle, Pulse & TTL waveforms. IC Based design for reliability. Wide frequency range from 1Hz to 1MHz, 2Hz to 2MHz, 3Hz to 3MHz, 10Hz to 10MHz. Digital readout ie. 16 character Alphanumeric/7 segment Display. Variable DC Offset facility with ON/OFF control. Standard 50 Ohms output impedance.